Luís Figo: Until you start yoga, you don’t know what true stretching is. After retiring from professional football, the former Barcelona captain has apparently taken up yoga as a mode of relaxation. Dubai: Portuguese football legend Luís Figo is in Dubai today and it has nothing to do with football! He is here to do yoga. 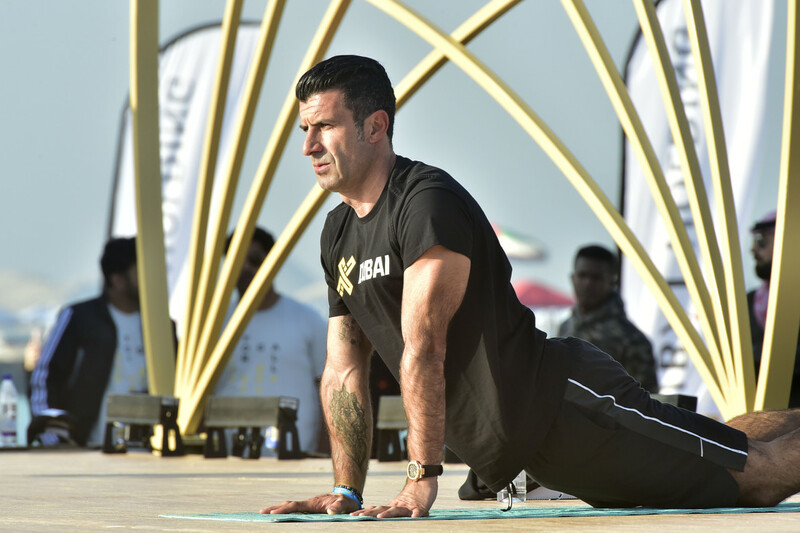 Figo joined Indian yogi Deepika Mehta and actress Nargis Fakhri to lead 2,500 yoga enthusiasts at Kite Beach at 8 am today, to kick off the third edition of XYoga Dubai Festival. After retiring from professional football, the former Barcelona captain has apparently taken up yoga as a mode of relaxation. He has posted about it previously on his Instagram and Twitter accounts. Regarded as one of the greatest footballers of his generation, Luís Figo has formerly played for Sporting CP, Barcelona, Real Madrid and Inter Milan. In his 20 years on the pitch his favourite personal career moment was when he won the Ballon d’Or in 2000. So will we see Figo as a football coach? “Not really soon,” laughed Figo without denying the possibility. 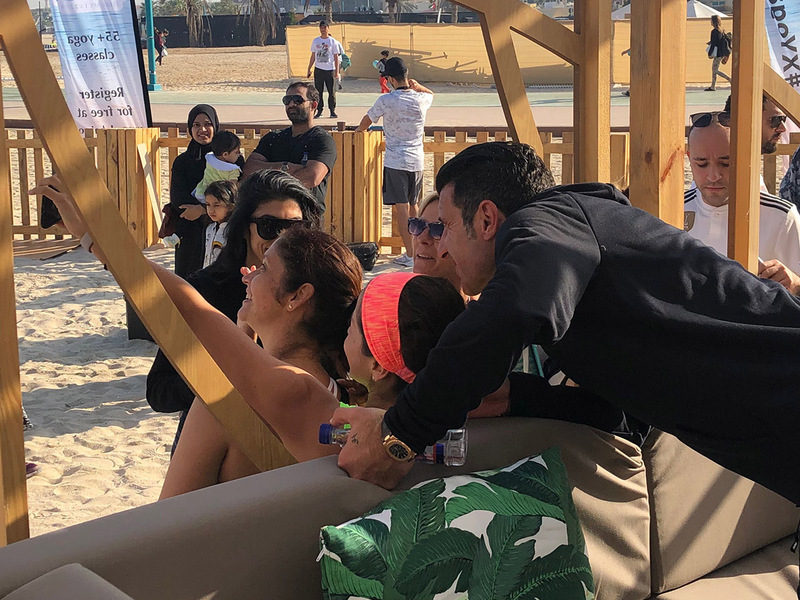 Last month Figo was seen joining Brazilian star Kaka in Pakistan for a day-long visit as part of the Wold Soccer Stars tour, aimed at grooming nascent talent through exhibition matches and coaching clinics. According to a January AFP report: “Pakistan boasted a top 10 place in Asian football until the early 1970s, but a lack of government support and poor infrastructure have seen them sink to 199 in the FIFA rankings. The country was banned in 1995 and again in 2017 over violating FIFA’s rule that all federations must be free of any government and judicial interference in their respective countries. The most recent ban was lifted in 2018.